Having been consistently struggling to break into the top ten since back end of 2015 Hellraisers tried to revitalise their roster by taking on online super-star Tomáš ‘oskar’ Šťastný and upcoming talent Martin ‘STYKO’ Styk. Although slow at first, and with the persistent theme of roster troubles plaguing any apparent chance for success, the Hellraisers squad managed to win the EU Minor Championship and secure a spot at the MLG major qualifier. Unfortunately for the mixed-bag of Eastern European players they were narrowly beaten out by Team Liquid in a thrilling Bo3, but with stand-out players Oskar and STYKO it was clear that the squad had enough talent to at least contest for a spot in the top 10. At the most recent international LAN, CEVO Season 9 Pro Finals, the top 4 teams in the world were not present, and it appeared that the absence of these apex predators would give a chance to the lower order top 10 teams to flex their muscles. However, after vintage stand-out performances from Pimp, friis and MODDII, SK Gaming managed to beat Hellraisers in a clean Bo5, and has now left the squad searching for a catalyst to become a great team. It is in my opinion that with one roster move, combined with an overall change in style could be the factor that puts them back into the lower end of the top 10 teams in the world. Throughout all the different iterations of both the Hellraisers and Astana Dragons rosters the consistent thread has been the leadership of Kiril ‘ANGE1’ Karasiow. Whilst they have done an admirable job assimilating numerous different players, stand-ins and subs – all from different cultures and languages, the notion of a weak-fragging IGL does not fit within what I believe is Hellraisers core strength .The primary strength of the squad being the wide spread of proven and upcoming aim talent, and the potentially unpredictable style of play that having such a high skill ceiling entails. When they utilise this talent I look at Hellraisers as a formidable upset side, capable of potentially beating any team outside the top 4 in a Bo1 and being competitive in Bo3/5’s. 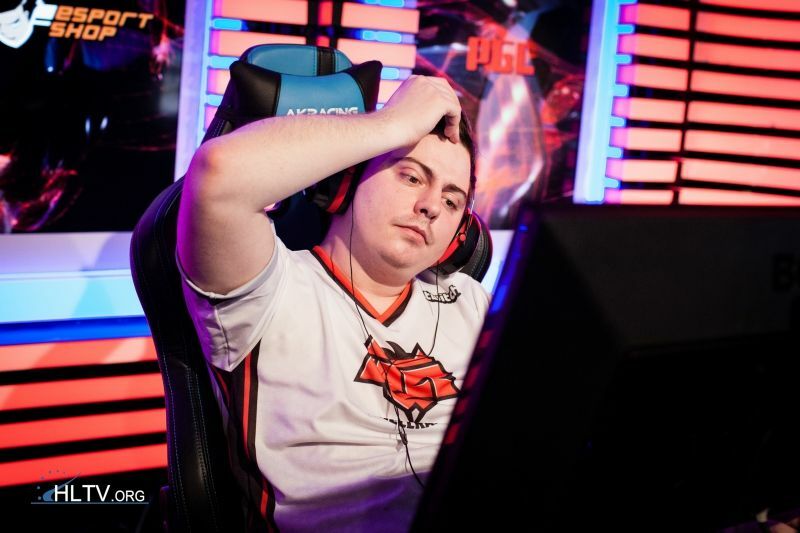 By replacing ANGE1 with a player that has more raw skill and fragging power, whilst shifting the role of in-game-leading to the coach, will take the pressure off star players oskar and Vlаdуslаv ‘bondik’ Nеchуроrchuk to perform and will also emphasise the key element of raw skill and individual play. The much more individualistic style of play that was pioneered by Happy in the short but sweet EnVyUs era, and carried on by teams like Mousesports and Faze, will be the environment that this Hellraisers roster will thrive in. With the already tenuous language barriers that exist within the squad, the need for set executes and tactics from ANGE1 is minimal, and rather letting the players communicate with the nature of their play individually is more important for winning games. So with Hellraisers now changing the dynamic of the team by kicking ANGE1 and letting their coach, Sergey ‘lmbt’ Bezhanov calling basic strats throughout the game whilst allowing the players to make individual plays in this simple, loose structure, who will fit into the now open fifth slot? Well the guidelines I set in picking the fifth man is: has to be from the CIS region, can’t be from the current Na`Vi roster, and has to be an actual fit for the pre-existing squad. 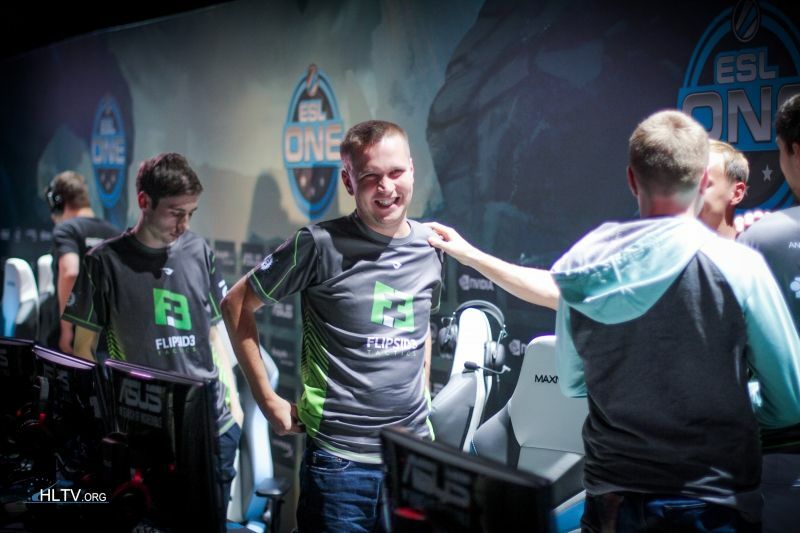 The player that I believe will best work given the guidelines is Yegor ‘markeloff’ Markelov from Flipsid3 tactics. There is no denying that markeloff is a fraction of his former self, being one of the best CS 1.6 players of all time, but relative to most of the players that transitioned from 1.6 to GO, he has done an admirable job. Furthermore within the current climate of the game and within the context of the Hellraisers need for a fifth man he is a very acceptable fit. Having transitioned away from his previous weapon of choice, the awp, to being a rifler; markeloff is remarkably reliable and will be a key source of clean-up and utility frags in the new side. However markeloff offers far greater appeal beyond just the scope of his rifling capabilities. He will finally be able to provide an opportunity for the side to utilise a consistent, experienced secondary awper, an element that the team has been sorely lacking since they have been solely relying on oskar for those scoped weapon kills. A key point to note is that both markeloff and ANGE1 are Ukrainian, so the overall inter-linguistic relationship in the team won’t be affected which will help smooth over the transition process. Although the team doesn’t have a player IGL, with Imbt taking over that responsibility, in the server markeloff will be crucial in sharing his wealth of experience and assisting Imbt with communicating the calls to the rest of the squad. Being the oldest member of the team by 4 years, markeloff will also play a pivotal role in the development of young players STYKO and Patrik ‘Zero’ Žúdel; both having shown inklings of potential greatness and hopefully markeloff’s knowledge of the scene and the game can help facilitate their growth. He also has pre-existing synergy with bondik from Flipsid3 so it won’t be unreasonable to see them playing sites together on CT to further assist with his transition. So not only will markeloff increase the fragging power of the team but he will also play a part in mentoring the younger talent of the time and as such increase the overall longevity of the squad. But shouldn’t it just be a S1mple problem to solve? After placing in the top 4 of MLG Columbus earlier this year, and being one of the star carries throughout the tournament for his team, Oleksandr “s1mple” Kostyliev is a hot free agent and most teams would be going hands over heels to find a way to accommodate him into their rosters. However due to the reasons why s1mple left Team Liquid and what is required from the 5th man of this roster, the pairing of s1mple and Hellraisers is incompatible. On stream s1mple said that one of the reasons why he left Liquid was due to him being promised primary awping duties but koosta being bought in and stifling that promise. So long as s1mple wants to be a primary awper there is no place for him in the Hellraisers line-up. On the awp oskar is the main carry of the team, however on rifles he struggles to perform; if s1mple wants to detract from oskar’s time spent with the awp in his hands then not only will the team be down a carry but will also increase tensions and abrasiveness between the two players. So not only will s1mples induction into the team turn the entire carry structure and dynamic on its head, there is also pre-existing history between the young Ukrainian and oskar. This little moment of controversy came about after s1mple criticising oskars play on stream after being kicked from the Hellraisers side in late-2014 upon receiving a ban from all ESL events for two years. S1mples infamously difficult personality has started to receive more and more attention and whilst some teams with a strong leadership core could overcome this problem, in this proposed Hellraisers roster s1mple would likely go unchecked and could potentially cause serious team chemistry problems. So while I concede that he is an incredibly talented player that can take over games by himself, he is not a right fit for this Hellraisers squad. Although this proposed change my never happen, and some people may disagree with my move, I think that you should at least be able to follow my logic in choosing a fifth man, and why there is a need to remove ANGE1. Responsible Gambling Gamble Responsibly. www.begambleaware.org. CSGOBetting.com is not part of, is not related to and does not have any commercial relationship with Counter-Strike or Valve Corporation. Valve, the Valve logo, Steam, the Steam logo, Counter-Strike, and the Counter-Strike logo are trademarks and/or registered trademarks of the Valve Corporation.